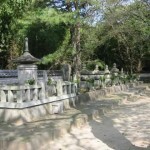 Daijuji is one of the major historical sites of Okazaki. Founded in 1475 the temple contains many items of cultural significance and is high on the list of cultural attractions of the city. It is part of the Jōdo-shū (“Pure land”) school of Japanese Buddhism. 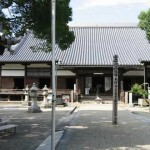 Daijuji Temple is most famous in Japanese history by its connection with Tokugawa Ieyasu (1543-1616). 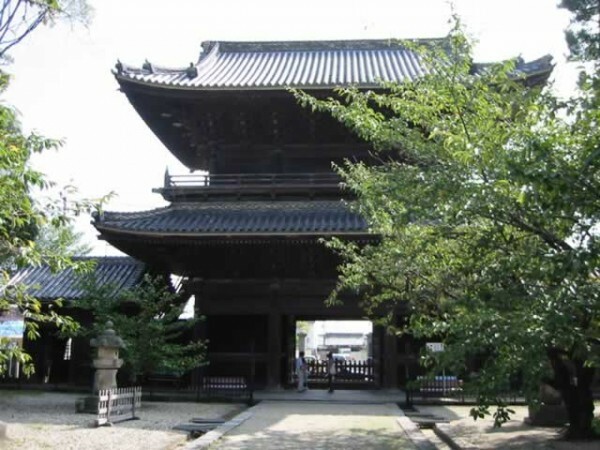 Daijuji was a favored temple during the long rule of the Tokugawa period. 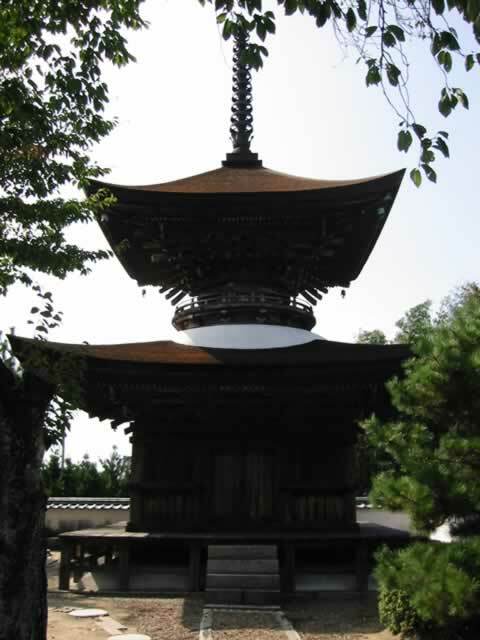 The temple was established by the ancestors of the Tokugawa clan, the Matsudaira. 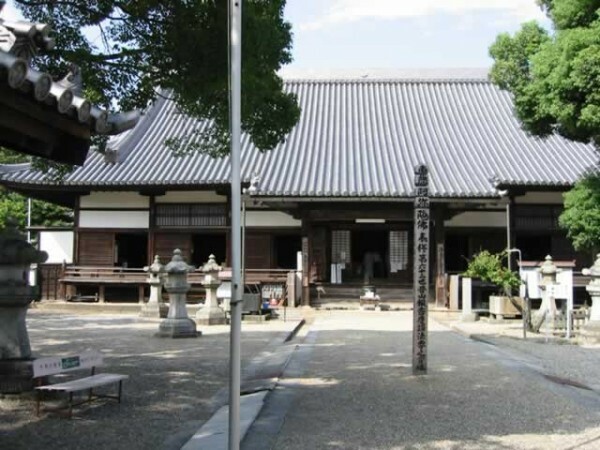 This family connection made the temple important to Tokugawa Ieyasu, but in addition to this, the temple was in fact responsible for saving Ieyasu’s life. 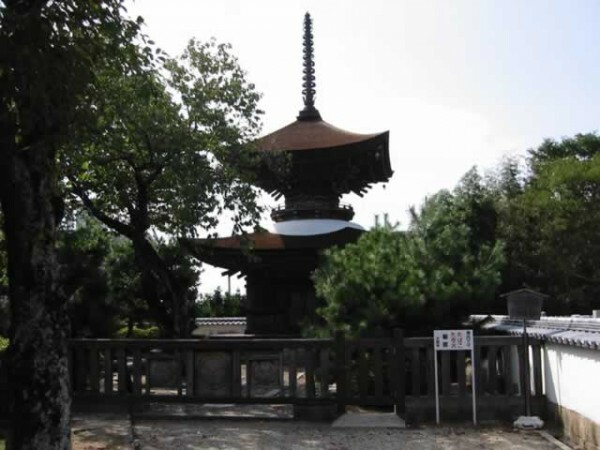 After returning to Okazaki Tokugawa Ieyasu was involved in many skirmishes with a militant Buddhist Ikko sect, and with a small band of followers found himself isolated close to Daijuji Temple. Militant theocracy fighting military samurai. It was an on-going civil war, that the (young) Ieyasu eventually managed to win. He was shot by a bullet that didn’t quite manage to penetrate his armor. A close run thing. Seeking refuge one day in Daijuji, surrounded by rebelling farmers, he decided to commit suicide. At this time the chief priest of the temple intervened and counseled Ieyasu not to give up hope saying, from the text of a sutra: Enriedo Gongujodo. This translates to English as, “Leave the depraved land. Pursue the peaceful world.” Following the advice, Ieyasu rode out of the temple and managed to safely return to Okazaki Castle. 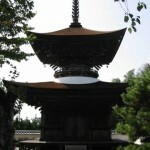 One of the important sights on the temple grounds is the “Taho Tower”. This tower was built by Ieyasu’s grandfather in 1525. It consists of two different components in the structure, one square, one circular, and is considered one of the most beautiful pagodas in the region. One interesting addition to the tower’s garden is a pathway of stones set up to symbolize the path of Buddha during his life. 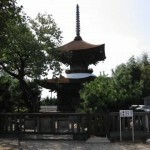 Adjoining the tower is the Graveyard of the Matsudaira family, another important place at the temple. 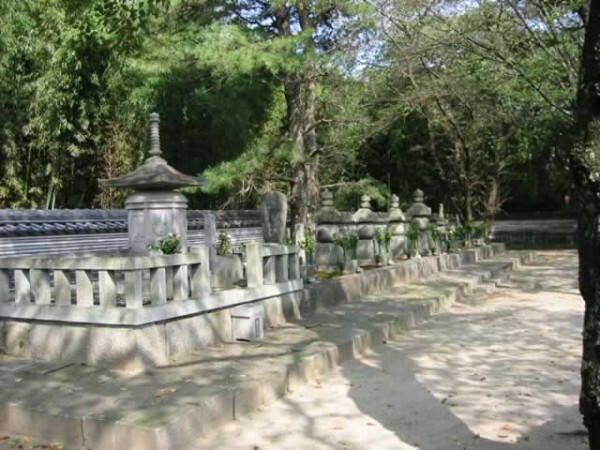 Here you will find the tombs of the ancestors of the Tokugawa clan going back 8 generations from Ieyasu’s father. These were set up by Ieyasu in 1602. Another interesting sight at the temple is the screen painting by noted artist Reizei Tamechika (also called Okada Takechika, 1823-1864). Tamechika studied the ancient art of Yamato-e, a style of Japanese painting as well as Buddhist-influenced art. This type of art was important during the 12th and early 13th centuries in Japan and was inspired by Chinese T’ang paintings. Reizei Tamechika was partly responsible for a revival of the Yamato-e paintings. Many examples of Reizei Tamechika’s art appear inside the temple. A sight most people would also find interesting is the hall where the “ihai” are displayed. These are memorial tablets of the generations of Tokugawa shoguns. Note the size of each tablet. The size corresponds to the height of the shogun in real life. Ieyasu’s tablet is here, as well as that of another very famous shogun, Tokugawa Yoshimune (1684-1751). Yoshimune was the eighth shogun in the Tokugawa dynasty, the first from the Kii branch of the family, and one of Japan’s greatest rulers. He introduced many important reforms to the governance of the shogunate. Most might know him from the popular television series “Abarenbo Shogun”. There is also an important wooden statue of Ieyasu, carved during the reign of Tokugawa Iemitsu, Ieyasu’s grandson. This statue portrays Ieyasu at the age of 73. 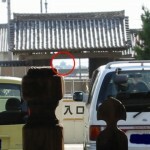 Okazaki castle as seen through the Sanmon gate. Tokugawa Iemitsu also ordered the building of the impressive Sanmon Gate and the Bell tower in 1641. The gate enshrines three images of Buddha and wooden statues of 16 of his disciples. 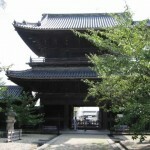 The calligraphy was made by Emperor Gonara (1536-57), and the gate itself is designated a cultural asset. 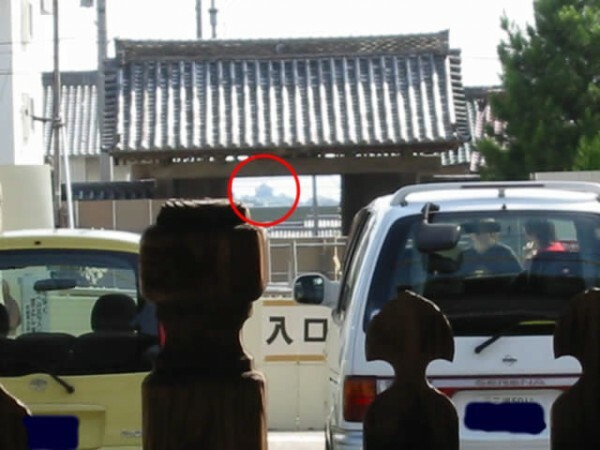 If you look through the line of the gate from the main hall, you can see Okazaki castle in the distance, framed by the gate. Even today, the building codes of Okazaki prohibit high-rise construction that would break this view　line.